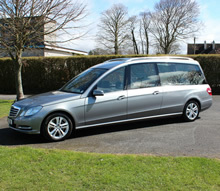 John McNeil Funeral Director long established funeral director and funeral services in the Stranraer and District region of Wigtownshire, Dumfries and Galloway. At John McNeil Funeral Directors all arrangements can be tailored to suit any particular requirement in a personal, compassionate and caring manner by Stuart McNeil and colleagues who have many years experience in the funeral profession. 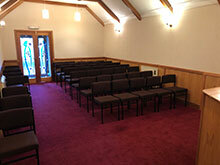 We can either call at the family home to meet with the bereaved family or arrange to meet the family at the office. Over the years, funeral needs have changed greatly and we have changed with the years and realised the importance of personalising each funeral for the deceased and/or the bereaved families wishes. We offer a wide range of services which can make a much more personal service such as personalised hymn sheets, musical tributes, piper, CD's, organist, picture slideshows and much more. We are proud to offer the very highest standards, from our level of personal service to our modern Mercedes E Class Hearse and Limousines. John McNeil Funeral Directors have been members of SAIF (Scottish Society of Allied Independent Funeral Directors) for many years. Staff and working procedures have been tested and examined and have been found to meet the very high standard of Level of Service that SAIF require and the bereaved families deserve.